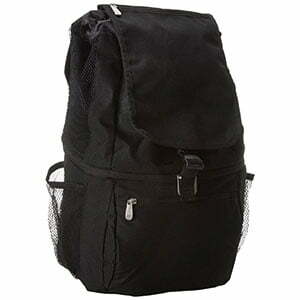 Arctic Zone Cooler Review - Go Zipperless with Arctic Zone Cooler Bags! Arctic Zone Cooler Review – Go Zipperless with Arctic Zone Cooler Bags! Ever heard of a zipperless cooler? We hadn’t either, up until a few weeks ago. 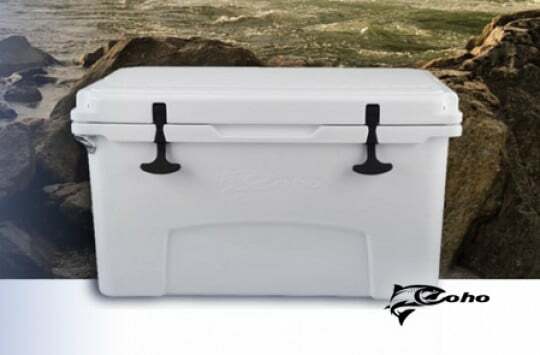 In this spanking new Arctic Zone cooler review, we’ll be talking in detail about a popular new trend that’s currently rippling its way across the ice chest industry: zipper-free soft coolers. Arctic Zone Coolers is actually a subdivision of a much larger company called California Innovations – they’re definitely not a small time, family-run operation or anything like that. However, given the vast resources that large companies like these have, they’re actually able to mass-produce good, well-made products for super low prices, unlike the ‘boutique’ brands who make everything in-house and are forced to list their gear with astronomical MSRP’s. So tune in, enjoy, and read on this Arctic Zone cooler review to learn more about why so many people are choosing to go zipper free with their coolers and soft ice packs. Arctic Zone isn’t really into the premium, hard-sided rotomold coolers that have become so popular since YETI burst onto the scene years and years ago. Rather, they’re much more focused on soft coolers and insulated lunch/day packs, with their flagship product being the new line of Titan zipperless soft ice packs. While these aren’t really adequate substitutes for an expensive, 105-quart Tundra on multi-day hunting or fishing excursions, they’re convenient, portable, well-made (and inexpensive) products that make for an excellent supplement to your cooler arsenal. The major design innovation in this new Arctic Zone cooler bag is of course the patented, zipperless, flip-up lid design. Personally we’ve never really been encumbered too much by a zipper, but apparently there’ve been plenty of folks who have, otherwise these wouldn’t be so popular. 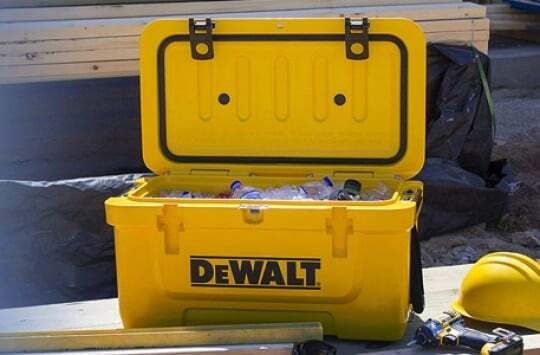 The cooler itself isn’t actually totally soft – the body is made of a hard polyethylene material similar to (albeit much thinner than) a high-end rotomolded ice chest. So in that regard they’ll hold ice much longer than a traditional soft cooler. Of course however, they don’t have the benefits of being able to fold down to size like other true soft coolers do. It actually creates a better seal than a zipper does, because the molded, recessed lid design press-fits down into the cooler body. This doesn’t create quite as good a seal as a full 360-degree gasket like you’ll find on high-end rotomolds, but it’s much superior to zippers which are notoriously ‘air leaky’. They allow for quicker access to your cooler contents with a simple flipping up and slamming shut of the lid (like we said, we didn’t think zippers were that inconvenient, but hey… I guess some people are more nit-picky than we are). One thing a lot of people really do like about these models (us included), is the abundance of storage compartments integrated into the outer nylon body, allowing you to organize and conveniently stash all sorts of goodies. The Titan Zipperless models currently come in three different sizes (16, 30 and 48-can), as well as several different color options (white, navy blue, and silver/grey). 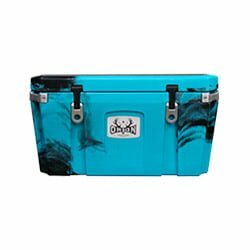 A lot of customers have commented in reviews about their pleasant surprise over how well-made and durable the coolers are, especially given their super low prices which, to be frank, makes them an absolute steal (certainly when compared to something similar like the RTIC Soft Pack or YETI Hopper Flip). Another one of Arctic Zone’s new releases that we really like is the Titan Deep Freeze ™ Tote, which is very similar to the original YETI Hopper. The thermal tote comes in two different styles, both of which have received great reviews on Amazon: the base model Eco-Blend 45-can, and the more high-performance, feature-laden Titan Sport model. The high-performance model really doesn’t mess around construction-wise, with a triple Cold-Block ™ layer that holds ice for up to three days, as well as a Therma-Flect radiant barrier to keep the heat out and the cold in. The outer waterproof nylon and overall build quality isn’t quite up to par with the quality of the YETI Hopper, but again, for the price it’s an absolute bargain in our mind. The Eco-Blend base model tote has been equally well-reviewed, although it’s not as feature-heavy with the insulation and thermal barriers as the Performance model is. It’ll only hold ice for 24-hours or so. The good thing however, is it’s a bit cheaper than the Titan Sport. 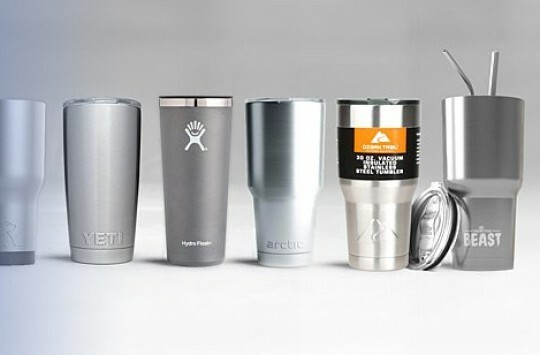 The High-Performance Sport model is rated to hold 30 12-ounce cans (with ice), while the Eco-Blend base model is actually a little larger, rated to hold up to 45 cans. Another innovative and well-designed product from Arctic Zone that we’ve recently become fans of is their IceCOLD line of water/hydration bottles. There’s nothing super duper special or fancy going on here, but it’s rather astonishing that a product like this hasn’t come out before now, given the popularity of things like cross training, yoga, gym training, or even jogging on the beach. Both the 1-liter and the ½-gallon are 100% BPA and toxin-free, and come with high-quality, adjustable padded shoulder straps for mid-exercise carrying. The IceCOLD bottles utilize the same radiant heat barriers and insulated layering as the Arctic Zone Zipperless coolers and Thermal Totes, and we’ve got to say the things are no gimmicks – they’ll keep your sport hydration icy cold during your entire workout — and far beyond. Like with most of our product reviews, we recommend shopping on Amazon if you’re wondering where to buy Arctic Zone coolers. 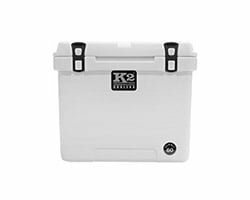 They consistently have the best prices on the internet, and as always offer free shipping on all things coolers. And matter of fact, even the Arctic Zone website links to Amazon when you buy on there, so if something is out of stock, it’s probably out of stock everywhere. At the time of this writing, Amazon currently has all sizes and colors of the Zipperless Cooler in stock and ready for same-day shipping, as well as a full stock of the Thermal Tote (both the Eco-Blend base model and High-Performance Sport model). If you’ve been looking for the most complete Arctic Zone cooler review on the net, hopefully you wound up at the right place and we were able to offer some helpful info and advice. 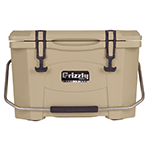 In our mind, these well-made zipperless coolers are some of the best values you’ll find in the industry; bargain prices and dirt cheap when compared to the top brands and similar products like the YETI Hopper and RTIC Soft Pack. Not to mention, they’re cool, functional products with well thought-out features that are only getting more and more popular as an increasing number of folks look to add a soft sided cooler to their cooler arsenal.